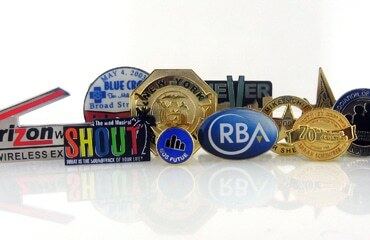 Excited about your upcoming hot air balloon event or a corporate event and need a custom hot air balloon pin? Whichever it is, one thing’s certain- you’re not as excited as your guests are! What’s more beautiful than a hot air balloon afloat amidst the early summer sky, slowly going up, up and away along with the sunrise while radiating its wonderful colors? It’s keeping this memory as vivid as it can be. This is why part of what attendees look forward to is getting a nice pin, which may be small but can make a huge difference in their entire experience. The Pin People lets you hold this image right in the palm of your hand through custom hot air balloon lapel pins created exactly how you like it done. Admission Ticket – Save costs on paper tickets and reduce paper waste by selling custom lapel pins that function as the admission ticket itself. It’s definitely a lot more fun and people of all ages can simply wear their pre-purchased pin to gain entry to your thrilling event. Commemorate Festivals – Make your guests remember your event in the best possible way by giving them something special. Custom balloon lapel pins are great souvenirs as it represents your balloon, and people will look back just the way they had seen it at your event. Token of Gratitude – Give to volunteers, sponsors, donors, individuals and businesses to thank them for their efforts in putting together the hot air balloon event. It will be appreciated more than what you may know. Collectible Item – There’s nothing to worry about leftover pins, if any. A custom balloon pin can be deemed a valuable collector’s item, even by those who were not actually present during your event, such as balloon teams and fans. Fund Raising – You can sell them to raise money through lapel pin sales for your club, team, group, charity or organization for a good cause. Party Favor – Make your occasion extra special by giving away a unique and fabulous memento of this company milestone or event in your life. Promotion – Include your logo in custom hot air balloon lapel pins for positive brand recognition and awareness. 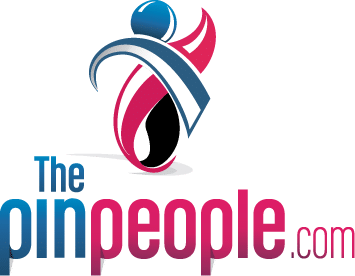 This innovative approach encourages quick and easy identification of your company in a fun and creative item that men, women, and children will surely love. Inspire customers and show how you can take them to a ride of their lives with all the great things you have to offer with this awesome pin they get to keep! 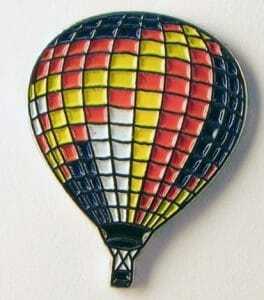 We can customize any hot air balloon pin with the colors you choose also. Balloons can be any shape and design. They can display many colors of your choice. Whether it is a solid color, primary colors, or a combination of many bright colors, the Pin People can customize a hot air balloon pin that best displays your unique taste and preference. There can be stripes or designs worked throughout the pin also, displaying much detail of what a hot air balloon is, or as little detail as possible. The greatest thing about customizing your own hot air balloon pin is that it is your design and can be made exactly as can visualize it. As stated before, custom hot air balloon pins may be worn while taking an adventure or just as an everyday accent to an outfit. They many also be given out or sold at hot air balloon events. Common places to find such pins include the beach and vacation spots. They can also be used as an incentive from companies to give customers once they ride one of their hot air balloons. It can also be a fun contest with who can make the most vibrant or interesting balloon design. So much fun can not only be had with taking a hot air balloon ride, but also in making a different kind of keepsake. How great is it to be able to add on to the already exciting adventure then to design your own custom hot air balloon pin to commemorate it! Why Choose The Pin People For You Balloon Pins? 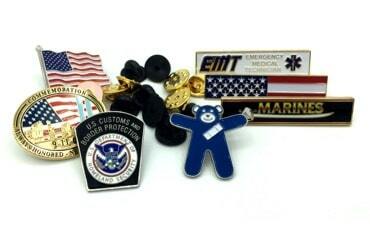 Pins arrive in a myriad of types, colors, sizes, shapes, and materials, such as iron, steel, brass, zinc, and copper. Platings can be gold, silver, bronze, copper, or nickel. There are hard and soft enamel pins, different coatings, finishes, seals, and various processes a pin undergoes. We are here to help you every step of the way in decision-making and have made the process easy for you. Simply send us an email requesting a pin quote along with a picture of your balloon. Include all that you wish to add like the name of your balloon, company logo, year, message, motto, slogan, or fun writing. We’ll quickly do the rest and come up with a great design to present you with, utilizing the best resources ad paying attention down to the last detail. These are ultimately incorporated into your balloon and each pin is delivered to perfection. Have your very own custom hot air balloon lapel pins made by The Pin People. Each design will be crafted by passionate, creative, imaginative, balloon-loving people who caters to every balloon owner, balloon team, balloon company, and ballooning pin fan. 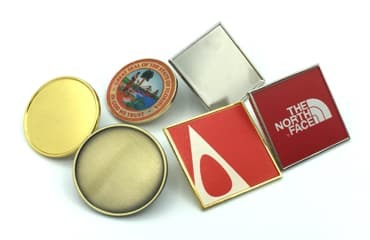 As one of the largest manufacturers of lapel pins in the US that’s based in New York, our expertise and experience ensure the highest level of satisfaction with custom pins that’s bound to effectively serve the purpose you have for it. A balloon pin becomes far more than an emblem, but a work of art built with the highest quality you and your guests deserve. Contact The Pin People now for all your custom hot air balloon lapel pin manufacturing needs. Soon, you will be handing out your attractive pins with pride and joy!